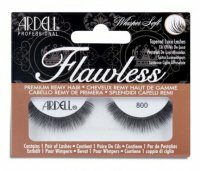 Soft Touch by ARDELL. Subtle lashes on the strip. Fine, pointy ends that give the eyes a soft, seductive and natural look. 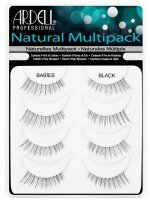 The product adds the natural eyelashes more volume. 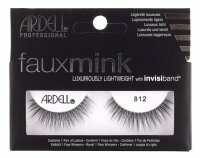 In addition, it adapts to the shape of the eye and is comfortable in application and wearing. Eyelashes were placed on a transparent strip. Reusable - properly stored and cleaned can last for a very long time. Placed on a transparent strip. They guarantee an extremely natural effect. 1. Put artificial eyelashes on your eyelids. If they are too long, cut off their outer part. 2. Apply and adhesive to the lashes. 3. Wait a moment for the glue to dry a little. 4. Apply the eyelashes starting from the outer corner of the eye, leading them just above the line of your eyelashes inwards. 5. Gently press the eyelashes to the eyelid. 6. 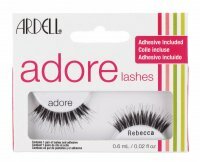 Combine the artificial lashes with the natural ones, catching them between the fingers and pressing one against the other. * The adhesive is not included in the set.